An Oregon student's lawsuit claims his pro-Trump T-shirt got him suspended. 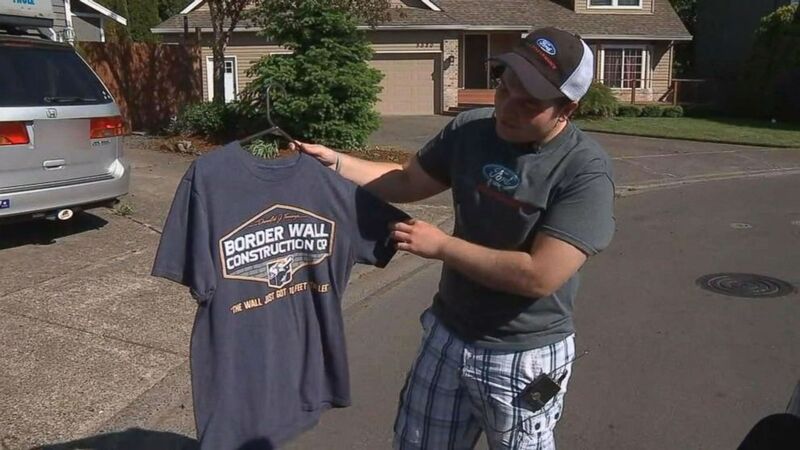 An Oregon teenager claims he was yanked out of class by a security guard and suspended after he refused to cover a T-shirt touting President Trump and the border wall he has promised to build, according to a federal lawsuit. Addison Barnes, 18, a senior at Liberty High School in Hillsboro, Oregon, says in the suit that his vice principal had him removed him from his "People in Politics" class in January and asked him to cover up his shirt, which read "Donald J. Trump Border Wall Construction Co." because it "offended" other students and a teacher. (KPTV) Addison Barnes was suspended from school after he refused to cover up a political t-shirt in Oregon. "If somebody else disagrees with me politically, I think they should be able to express their viewpoints just as I should be able to express my viewpoints in school," Addison told Fox affiliate KPTV in Portland. 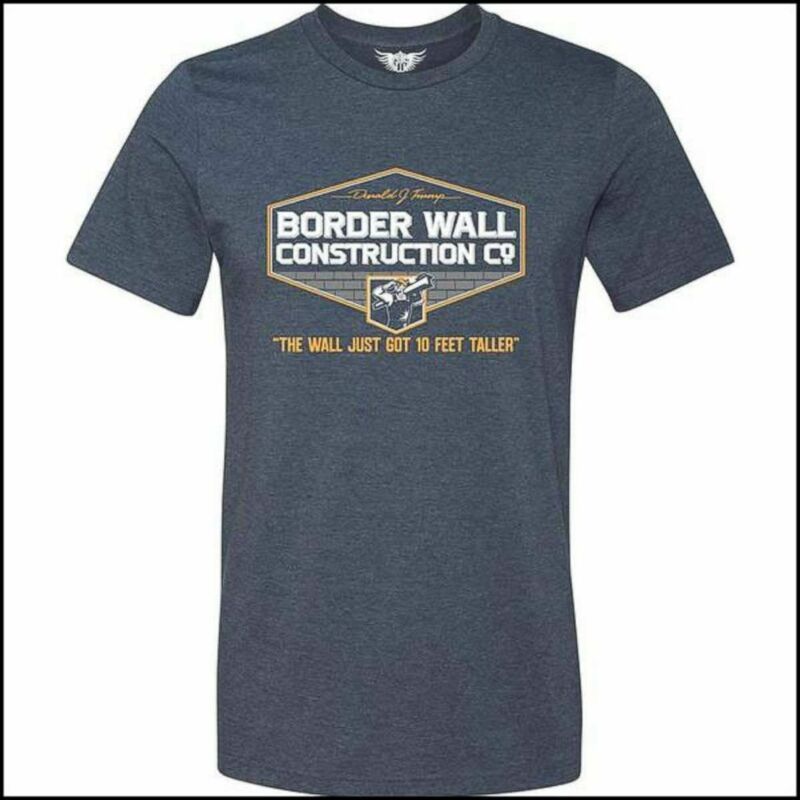 Addison's T-shirt also included the words "The Wall Just Got 10 Feet Taller," a phrase Trump used during a Republican primary debate in February 2016 at the suggestion that Mexico would not pay for the controversial barrier. The suit is asking the federal court to rule that school administrators violated the teen's constitutional right to free speech and to issue a permanent injunction against the school's use of dress code and grooming guidelines that are "inconsistent with the First Amendment of the United States Constitution." Addison initially complied with the vice principal's request and returned to class, but then had second thoughts and decided "this wasn't right," according to the suit. The topic being discussed that day in his class was on immigration. (From court documents filed in the District Court of Oregon) An image of a t-shirt included in the court documents filed in the case of an Oregon teen suspended from high school for wearing a similar shirt to school. "He believed that the First Amendment protected his right to peacefully express his political views in school -- so he uncovered the shirt," reads the lawsuit filed on Friday in U.S. District Court in Portland. When the vice principal saw the teenager wearing the T-shirt again, "she sent a security guard to remove him from class and take him to her office -- where he was threatened with suspension for 'defiance,'" according to the suit. School officials warned Addison again that he could not wear the shirt "because other students felt 'offended' by the ideas or message it conveyed," according to the court papers. 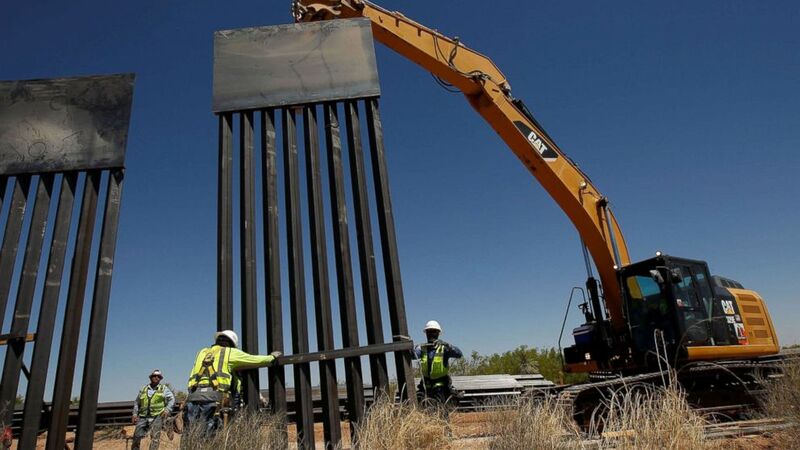 (Jose Luis Gonzalez/Reuters) Construction workers place a panel of new bollard wall with the help of heavy machinery in Santa Teresa, New Mexico, as seen from the Mexican side of the border in San Jeronimo, on the outskirts of Ciudad Juarez, Mexico, April 23, 2018. Given the choice to cover his T-shirt or go home for the rest of the day, Addison chose to go home. School official treated his absence as a suspension, according to the lawsuit. After meeting with Addison and his father, school officials rescinded the suspension but made it clear that Addison "would be subject to further discipline, including suspension, if he wore the border wall shirt to school again," according to the suit. "The bottom line message conveyed from the administrators was that the 'feelings' of other students and teachers outweighed [Addison's] right to express his political beliefs," the lawsuit states. In a statement to ABC News, Beth Graser, a spokeswoman for the Hillsboro School District, said, "We are still reviewing the lawsuit and respectfully decline the opportunity to comment at this time." 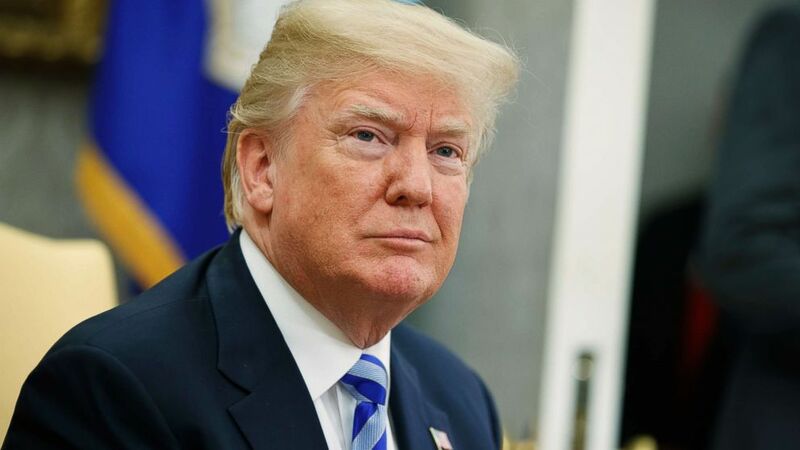 (Evan Vucci/AP) President Donald Trump listens to a question during a meeting in the Oval Office of the White House in Washington, May 16, 2018. Addison's lawyers noted in the lawsuit that the school has shown a double standard by trying to censor the teenager while allowing one of Addison's teachers to prominently display a sign in front of a classroom reading, "Sanctuary City, Welcome Home." "By muffling one side of the debate while allowing the other side to magnify their voice with a megaphone, defendants' actions constitute viewpoint-based discrimination," the lawsuit states.